The nature of Iceland is unlike anywhere else on earth. As an island in the north Atlantic, it offers a huge host of activities you can do and beautiful vistas you can see all over the island. The ecosystem of the island is very delicate, though, with roads planned carefully through rough terrain so as not to disturb nature. Weather in Iceland can change in a matter of minutes. We recommend that all of our customers be very informed about the weather and road conditions in Iceland, so you can have the best possible travel experience. The Icelandic Weather Service is always up to date, and the Icelandic Transport Authority is another site which is useful for all aspects of travel. Highland Roads (also called "mountain roads") are only accessible with a good 4x4 WD car, and only in summer. During winter, these roads are closed due to poor driving conditions and visibility, and some do not open for the summer season until July. Rental cars that are not 4x4 WD are not allowed on those roads by law, and rentals with 4x4 WD are allowed at the driver’s own risk. For up-to-the-minute information on road conditions, make a habit of checking the Icelandic Weather Service website before you get on the road. If you are not a confident driver, especially on single-lane country roads or unpaved areas, Lava Car Rental offers an Extra Driver for 3000 ISK per rental. Is my car equipped with USB / Aux or Bluetooth? Do I get a refund if I return earlier? Unfortunately, we do not refund for early returns, the price paid upon making a booking is the price paid for the time the car is reserved for in your booking. I want my car delivered to my Hotel, is that possible? We do offer both pickups and drop-offs at hotels and guesthouses in Reykjavik for an additional fee, please note that when making the reservation we need the address and or the name of the hotel. All our bookings are fully refundable if the cancelation comes 72 Hours before rental is due. I want to have internet connection, is that possible? On all our vehicles you can rent portable 4G Routers which have unlimited data, which spare you roaming fees on your mobile phone. 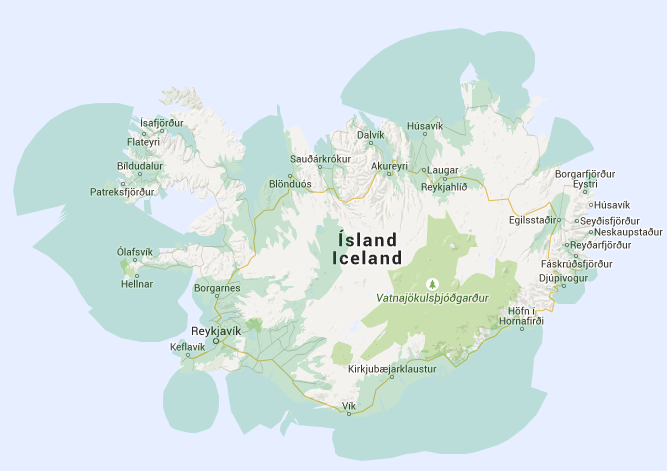 Our Routers are all suplied from NOVA wich has an excellent coverage in Iceland. Does my car have winter tires? All our vehicles have winter tires after 1st of November until the 1st of April. Can I change my booking after the reservation is confirmed? Yes you can, please send us a message here and we will modify your reservation accordingly. If my car breaks down what do I do? Our emergency hotline is open 24/7, if for some reason the vehicle is not operating as it should and or you had an accident call us right away to +354 7884080 and we will either supply you with a new vehicle and or locate a service representative close to you. What is not covered under your insurances? Our offices are located at Iðavellir 11b, Keflavík only one left turn from highway 41. 3 minutes drive from Keflavik Airport. Here you can see our location on Google Maps. What kind of insurances do you offer? Collision damage waiver, personal accident insurance and third party liability is included in all our rentals but we offer extra insurances for your safety and peace of mind. What documents do i need to show when i pick up the car? You will need a valid drivers license and a valid credit card. If you have rented the car through a travel agency you will need to show the voucher. Can i drive on F roads? If you only have a 2wd car you are not allowed to drive on roads marked with F.
We reccomend you returning the car with a full tank of gas. Unless you have prepaid a tank of gas which you can do upon pickup you are free to return it empty. Do i have to leave a deposit to rent a car? We do not hold a deposit from our customers while they have the rental car. We only need to see a valid credit card on arrival, we will only hold the imprint of the card as a guarantee. If the renter does not have a credit card we do accept 16 number debit card. No hidden fees are added to the reservation when booked, our booking engine on the website shows you a correct amount including VAT. Our minimum rental period is 48 hours. You can rent the car for 24 hours, but we charge 48 Hours.